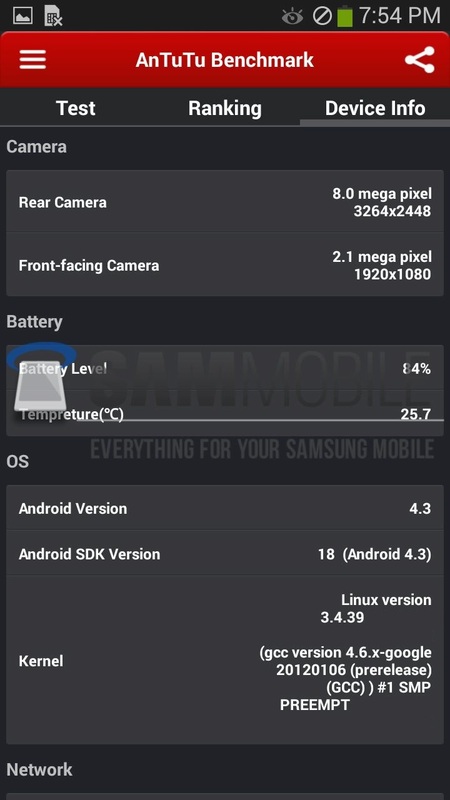 You guys may have heard about Samsung’s upcoming Galaxy Note 3 Lite and if you really have, then you probably know about its specifications too, courtesy of GSMArena. Then you may think that what’s the point of this article if the specifications have already been confirmed. Well, you are right! The specifications have been confirmed but this article is much more than just specifications of the device. 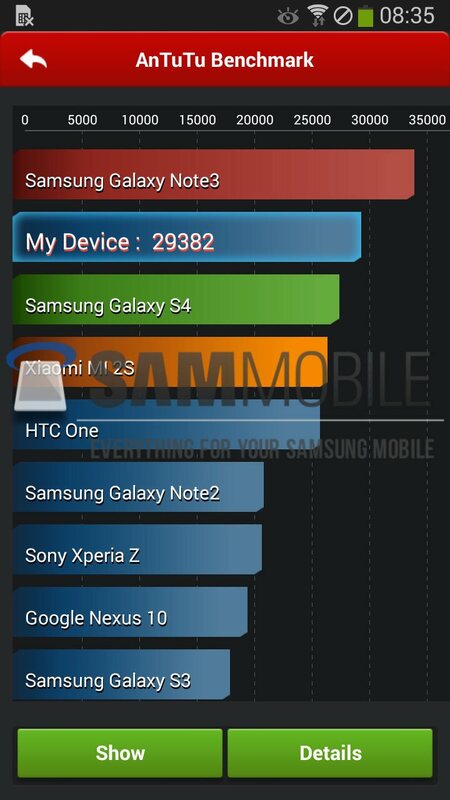 We have obtained exclusive images of the Samsung Galaxy Note 3 Lite, along with its Antutu benchmark results and specifications. 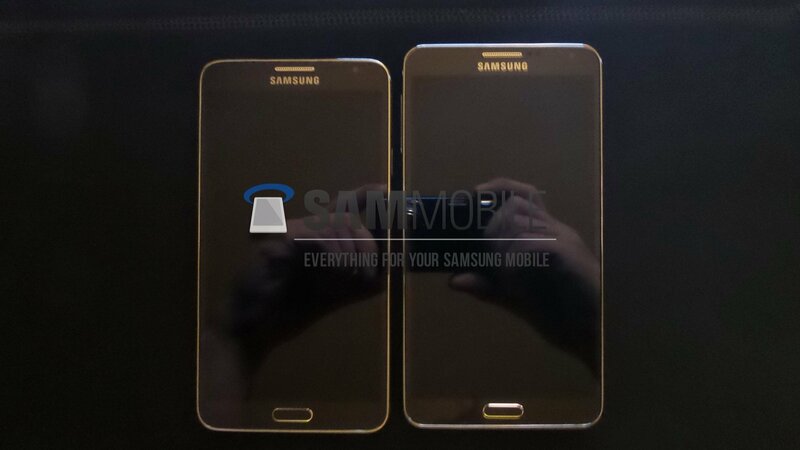 As you can see in the pictures below, the Galaxy Note 3 Lite features exactly the same design characteristic as its older and bigger brother, the Galaxy Note 3. It has the same faux leather removable backplate and serration pattern on the side of the device that evokes a connection to the timeless and enduring strengths of classic notebooks and planners. Both, the Galaxy Note 3 and Galaxy Note 3 Lite, share the same S-Pen technology, so you will get the same amount on pressure points and sensitivity. The only thing which makes the Lite a little different, from the Galaxy Note 3, is its camera module and its smaller size. 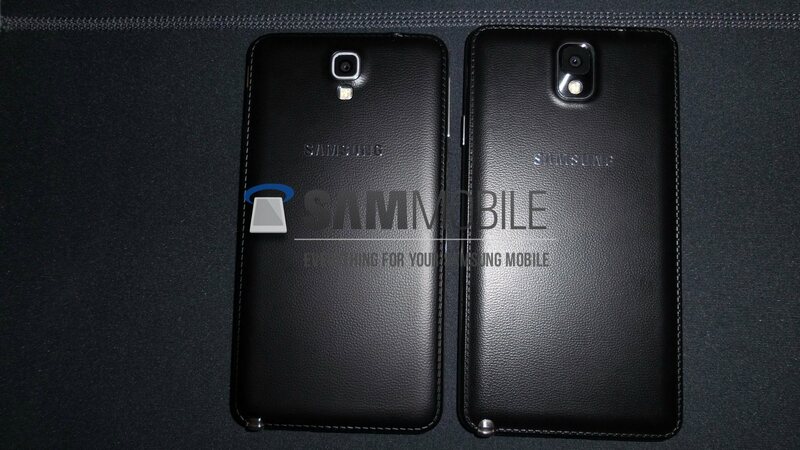 The Samsung Galaxy Note 3 Lite will come in two variants, HSPA+ (SM-N750) and LTE (SM-N7505). The devices sports a 5.55-inch 720p HD (1280×720) Super AMOLED display with a pixel density of 265PPI, 2GB of RAM, 8 Megapixel main camera sensor which is capable of shooting Full HD 1080p videos, 2.1 Megapixel Full HD front facing camera for video calls and selfies, 16GB of Internal storage which is expandable via MicroSD Card and a huge 3,100mAH battery. 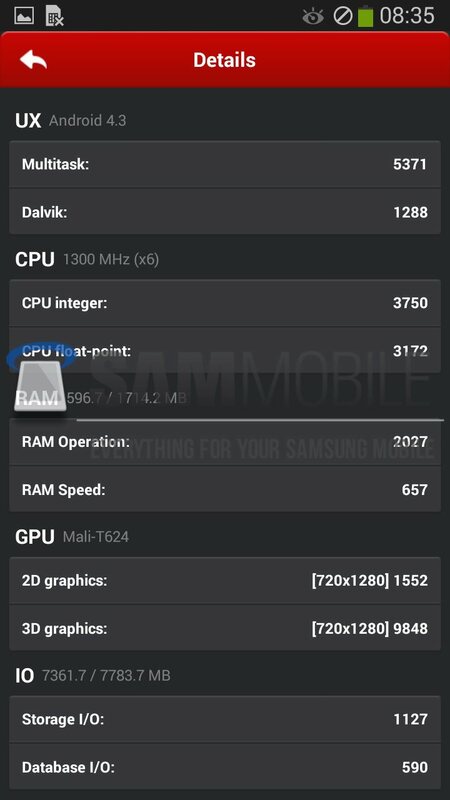 Our insider had access to the LTE variant of the Galaxy Note 3 Note, and with that you are probably thinking it will have a Snapdragon SoC inside, well that’s not the case. The LTE variant features a Hexa-Core CPU along with ARM’s Mali-T624 GPU. 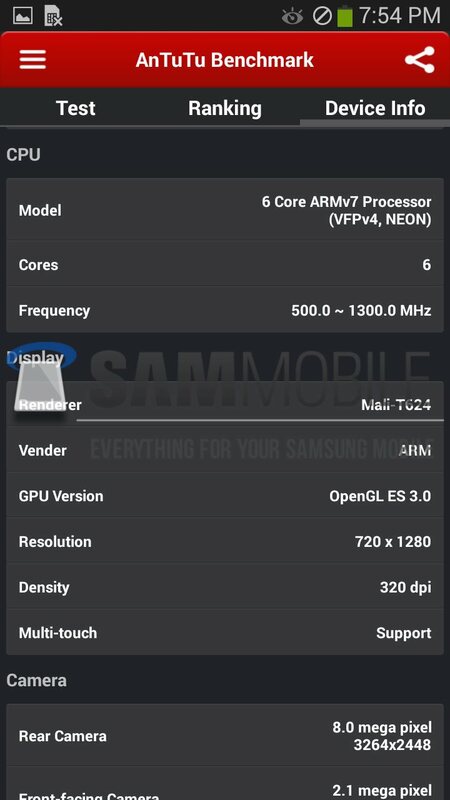 Unfortunately, SoC manufacturer and exact CPU configuration couldn’t be verified because of early software, but it’s confirmed that this isn’t Qualcomm’s silicon. (Check latest update regarding SoC in the last!) Our insider sent us a screenshot, which you can see below, from CPU-Z which shows that all 6-cores are active at the same time. 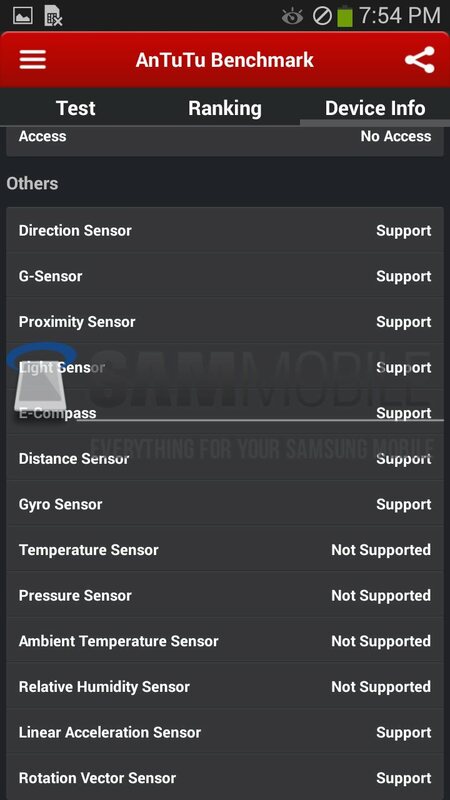 On the software side, our insider reports that currently the device is being tested with Android 4.3 Jelly Bean on-board with Samsung’s TouchWiz UI, Magazine UX has not been implemented. He doesn’t think Samsung will include it with the Lite but says even if Samsung decides to do that, it will be with the Android 4.4 KitKat update. All Samsung Galaxy Note 3’s S-Pen features are available on the Lite as well: Air Command Action Memo, Scrapbook, Screen Write, S Finder, Pen Window, S Note, Multi Window, new Easy Clip, Direct Pen Input. In terms of connectivity, the Galaxy Note 3 Lite offers WiFi 802.11ac support on top of the usual a/b/g/n, and an IR blaster is included for remote control access using Samsung’s WatchON service. NFC, Bluetooth 4.0 + LE are included, and it’s got MHL 2.0 and is able to use a standard MHL connector. However, the Note 3 Lite uses a MicroUSB connector for charging and data transfer instead of the USB 3.0 connector, like on the Note 3. 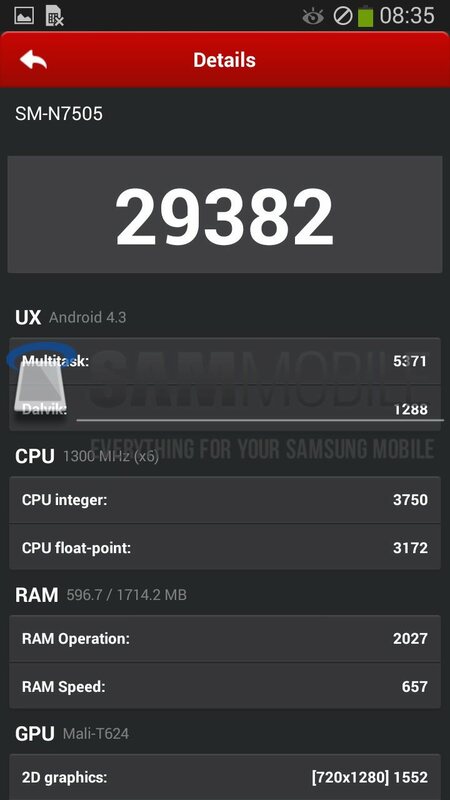 Our trusty old insider sent us a few screenshots of Antutu Benchmark, as well. 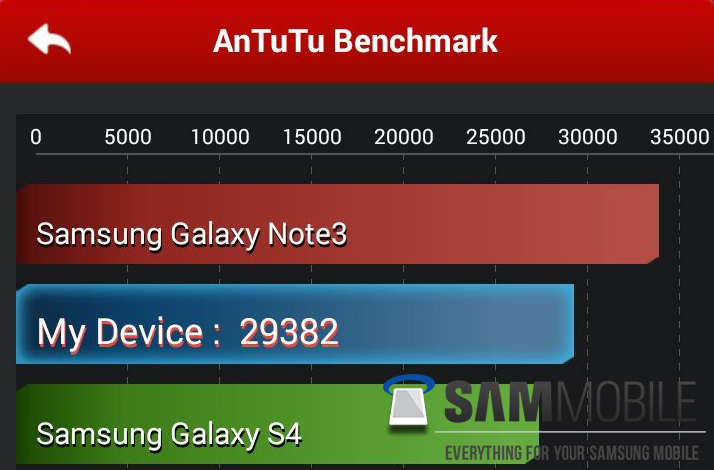 As you can see in the screenshots, the Galaxy Note 3 Lite scored a whooping 29K+ points in Antutu, which brings it into Samsung’s Exynos 5410 and Qualcomm’s Snapdragon 600 territory. The Mali-T624 GPU scored pretty awesome points too, so don’t worry about throwing some GPU extensive games at it, they will run like a charm. 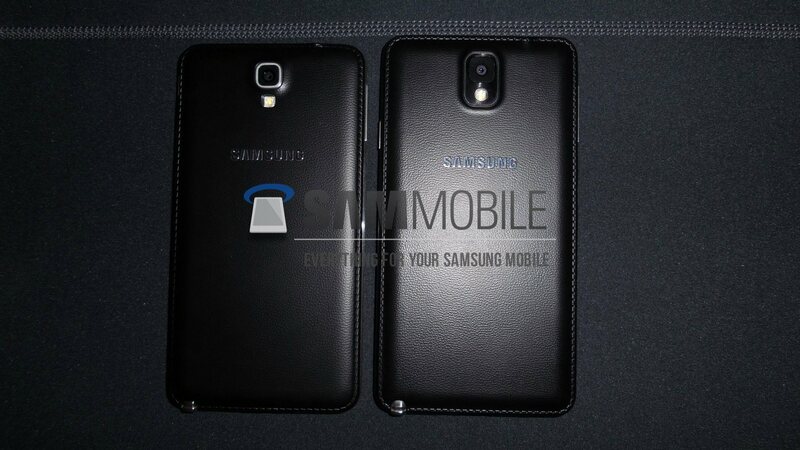 The Samsung Galaxy Note 3 Lite will make its debut at Mobile World Congress 2014 in Barcelona, Spain. 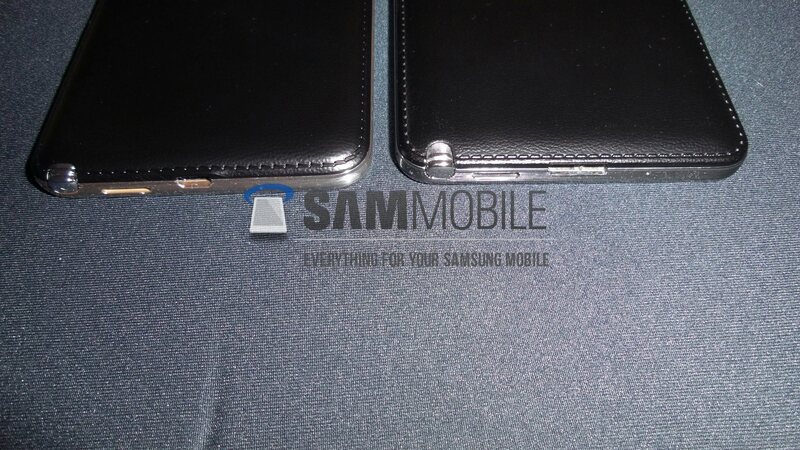 We of SamMobile team will be live at the event reporting every bit of Samsung news as it happens. 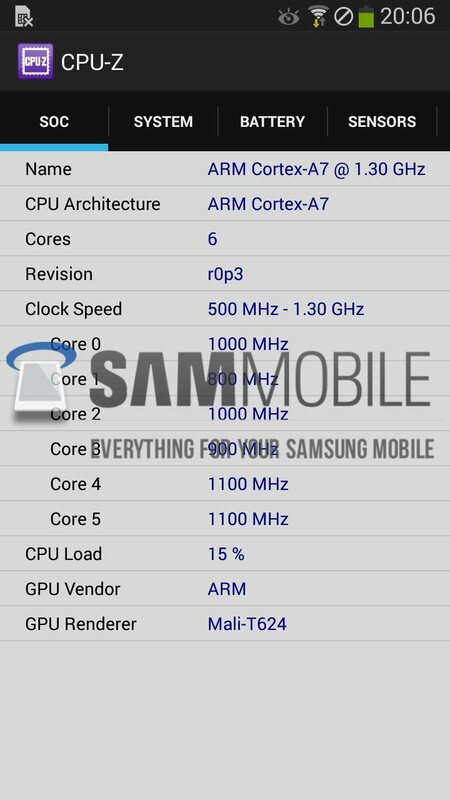 UPDATE: Samsung Galaxy Note 3 Lite/Neo packs Samsung’s own Exynos 5260 Hexa-Core SoC with Heterogeneous Multi-Processing (HMP) capabilities, which means all 6-Cores would be able get activated at the same time. Also, LTE connectivity is on-board, as well! 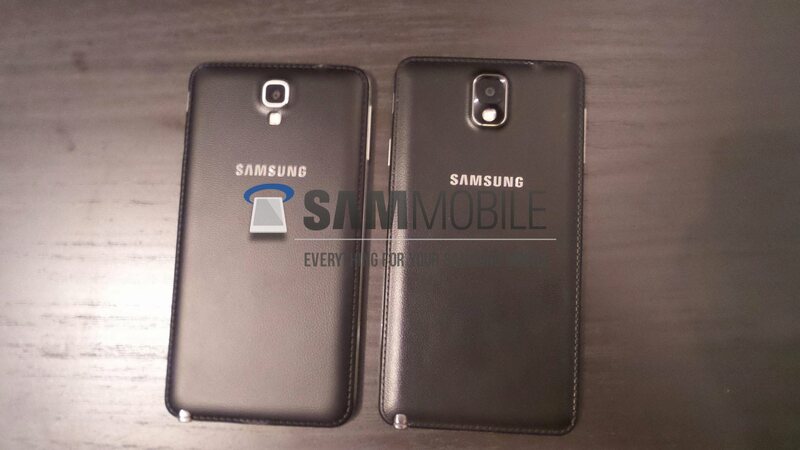 This may gives us a hint on the Galaxy S5 specs. 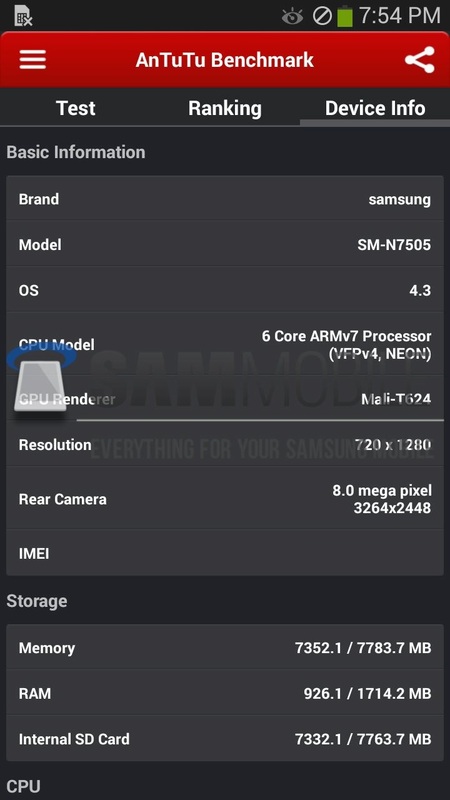 Maybe it will pack a 8-core Exynos with HMP with LTE on board. Hopefully, this time Samsung streamlines the launch of the Galaxy S5 by having only 1 model for all markets using Exynos chip with LTE since they can do it with the Note 3 Neo, Note II LTE and S3 LTE. Finger crossed on whether Samsung will using the DDR4 RAM (either 3GB or 4GB) and a 64-bit chip. I hope this Note 3 Lite sees the return of over the air FM radio, and same for GS5. It’s been dissappointing to me that no GS4 variant had FM, and the only Note 3 with FM is the US Sprint version. Any news on it’s battery life? just marketing! 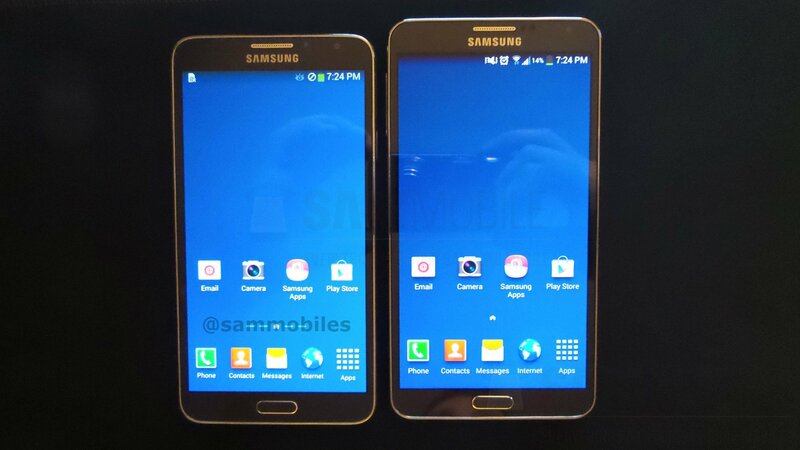 I would prefer to buy a “light” version of note 3 than a plus version of a year old phone!